National Conference League Division Three leaders, Beverley ARLC, return to action this Saturday as they host Woolston Rovers at the Beverley Leisure Centre. Head Coach, Scott Taylor and his side are now entering the business end of the season and currently have a six point lead over second placed Clock Face Miners at the top of the table as they look to win the championship. Taylor will be looking for his team to get back to winning ways having drawn their last two games that included needing a last gasp try to earn a draw away at Clock Face Miners. Beverley, have a busy week on the pitch with two home games in a matter of days. They have matches this Saturday and on the Wednesday night, giving them a chance to put one hand on the title if they can come away with maximum points. 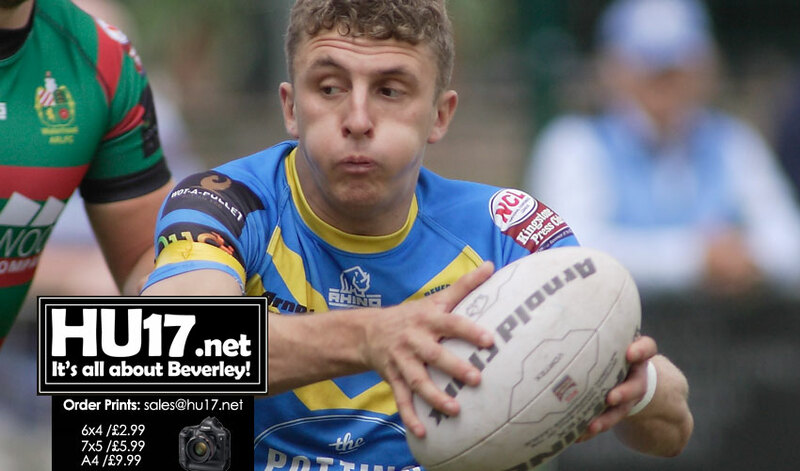 Taylor will welcome back leading try scorer Lewis Poskitt and also Bobby Howdle and Jack Humphries to the squad for selection at the weekend as they prepare to take on Woolston Rovers. Rovers come to the Leisure Centre in a rich vein of form that has seen them beaten just twice in their least seven games, with three wins from their last three fixtures. When the sides met back in March it was Beverley who won 40-24. It is over a month since Beverley were last at home. On that day back in June Beverley won 90-0 against the 11 men of Waterhead Warriors, but Saturday’s opponents will certainly offer a much stiffer test. Looking for five wins from their final fixtures to secure the title, the Blue and Golds of Beverley will need their key players returning to the squad for big performances to ensure the first of those wins comes against Woolston Rovers. Beverley’s game at home to Woolston Rovers kicks off at 2.30PM and is sponsored by local Beverley firm TMX Clothing Supplies.